--> Prime Minister Narendra Modi on 19 February 2015 launched the nationwide Soil Health Card Scheme in Suratgarh town of Sriganganagar district, Rajasthan. --> The nationwide scheme will help farmers to scientifically analyse the soil of farms in the country. --> The scheme aims at helping farmers in improving productivity by appropriate use of nutrients or fertilisers. --> The process of printing documents for the Budget 2015-16 began on 19 February 2015 with the ritual 'halwa ceremony', which was attended by Finance Minister Arun Jaitley in the North Block office. --> It has been a tradition which has continued for long. --> The significance of the sweet dish is that after it is served, a large number of officials and support staff, who are directly associated with the Budget making and printing process, are required to stay in the ministry and remain cut off from their families till the presentation of the Budget by the minister in the Lok Sabha. --> They are not even allowed to contact their near and dear ones through phone or any other form of communication, like e-mail. Only very senior officials in the Finance Ministry are permitted to go home. --> India's longest running movie - 'Dilwale Dulhania Le Jayenge' - ends its marathon run at Mumbai's Maratha Mandir cinema after almost 20 years. --> The movie was being screened in the theatre ever since October 19, 1995 - clocking a period of 1009 weeks to be exact. --> In an effort to move closer to customers and to empower them, the State Bank of India, India’s largest bank, launched a massive, customer friendly initiative, Tech Learning Centres (TLCs) across the country. --> “TLC is a unique initiative to empower its customers through technology and awareness,” said Anshula Kant, Deputy Managing Director, SBI. --> According to her, 385 State Bank TLCs across the length and breadth of the country have started holding interactive learning sessions and demos of the bank’s tech-channels for over ten thousand customers every month since November 2014. --> The Reserve Bank of India lifted ban on import of gold coins and medallions by banks and trading houses. --> RBI said that banks have also been permitted to import gold on consignment basis. --> Reliance Industries on 19 Feb 2015 appointed ex-bureaucrat Maheswar Sahu as an independent director on its board with immediate effect, taking the strength of the board to 14, with eight being non-executive directors. --> The 60-year-old Sahu has had a distinguished career and was additional chief secretary for industries and mining with Gujarat. --> In order to facilitate 'Ease of Doing Business', the Government has launched a single window government-to-business (G2B) portal for 11 central government services. --> Finance Minister Arun Jaitley made the portal public on 19 February 2015. --> Former Indian captain Anil Kumble is all set to become the 77th member of the ICC Cricket Hall of Fame after his name is inducted in the prestigious list during India's World Cup match against South Africa on 22 Feb 2015. 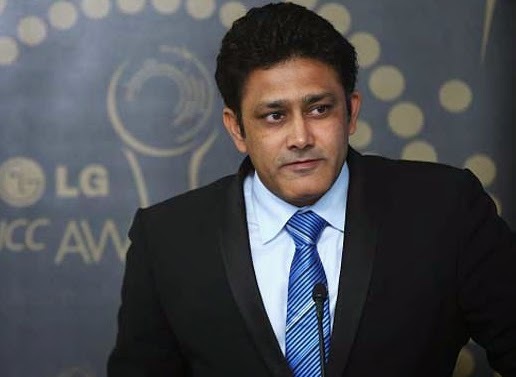 --> Kumble, who is now the chairman of the ICC Cricket Committee, is the fourth India cricketer to be inducted into the ICC Cricket Hall of Fame after fellow former captains Bishen Bedi, Kapil Dev and Sunil Gavaskar were inducted into the ICC Cricket Hall of Fame in 2009. --> Joining Kumble as the 78th inductee would be the late Betty Wilson, one of the greatest women's cricketers of all-time. --> India on 19 February 2015 successfully test-fired its indigenously developed nuclear capable Prithvi-II surface-to-surface missile with a strike range of 350 km as part of a user trial by the army from a test range at Chandipur in Odisha. --> The missile test was carried out from a mobile launcher from launch complex-3 of the Integrated Test Range (ITR) at about 0920 hrs. --> With a strike range of 350 km, Prithvi-II is capable of carrying 500 kg to 1,000 kg of warheads and is thrusted by liquid propulsion twine engines.